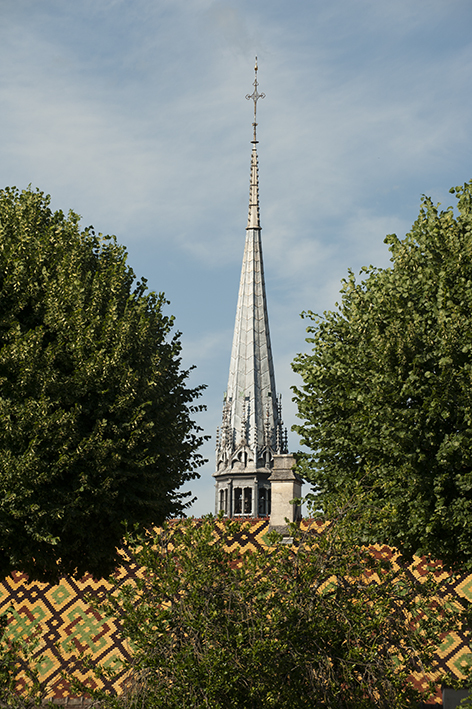 Back in Burgundy at last. 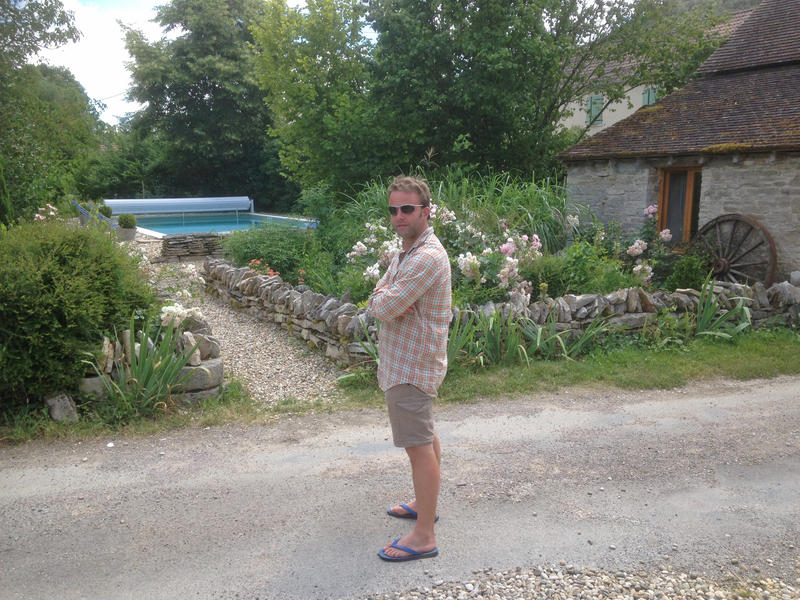 Well it was quite a trip, covering between Mercurey and Chablis with a few 5 a.m. starts required. 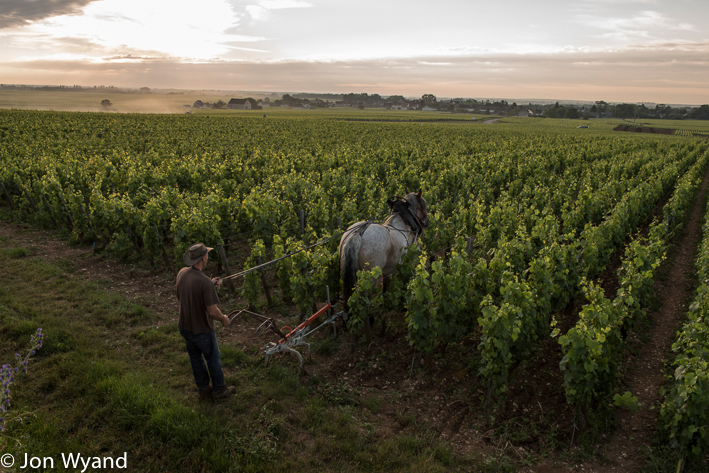 Its that time of year when vignerons are busy, up early and the best light, if you get it, means a pretty early start. 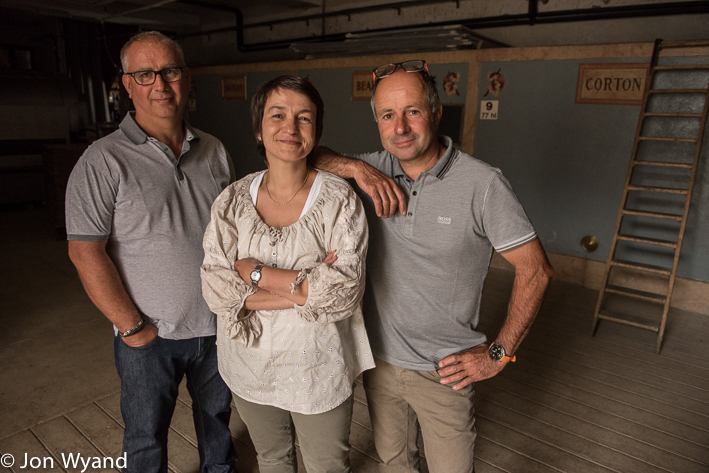 I was shooting for three different magazines, a total of 19 winemakers and a fromagerie in 4 1/2 days. Sometimes you get an hour, sometimes its got to be several. Everything was arranged before I left on Eurostar but en route a call to my french mobile and an email started to make life interesting…. 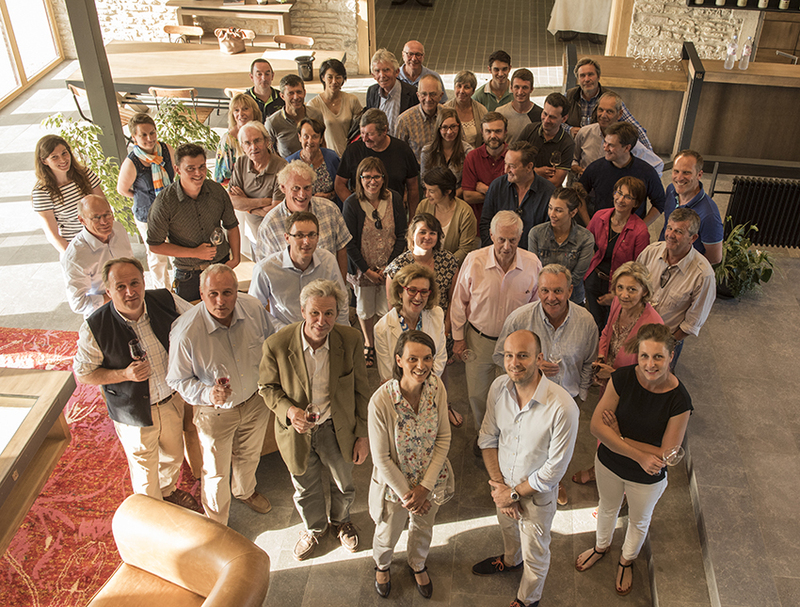 C’est la vie, these vignerons have lots of more important things on their mind and different priorities. 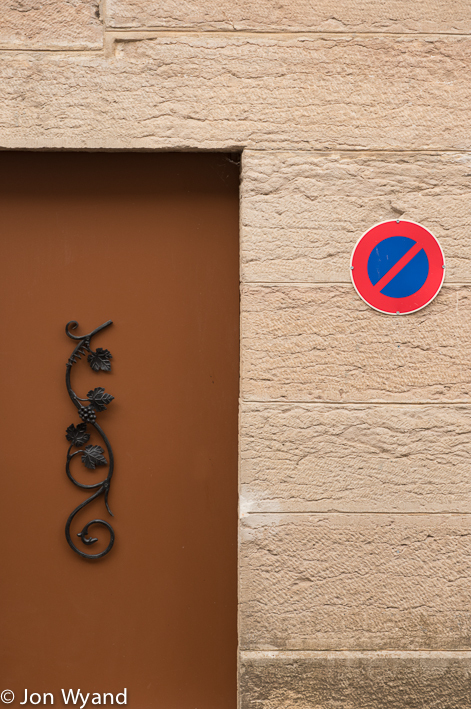 I once arrived at an estate in Marsannay for an appointment to shoot some portraits for a book. 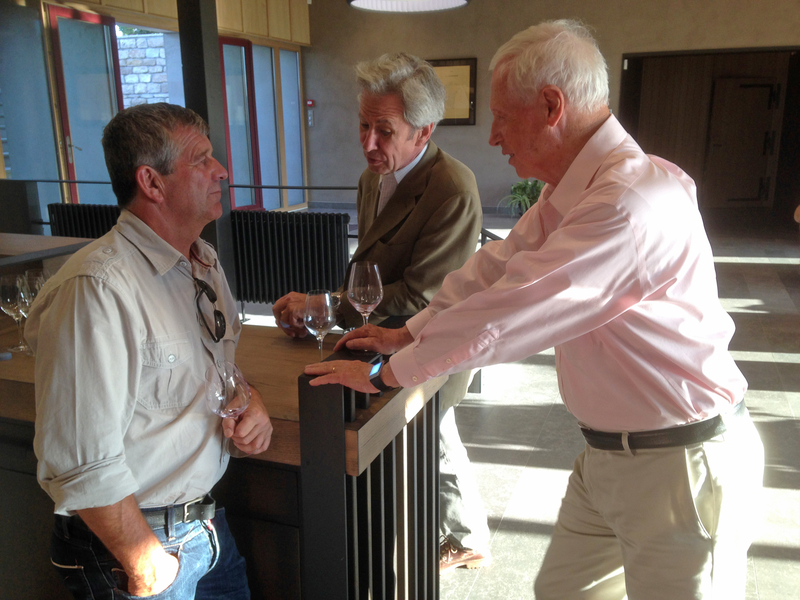 After some delay in my subject appearing I was told that some wine-writing demigod had rung for a tasting and I was therefore put on hold. For an an hour and a half as it turned out…. I guess no one can compete with that sort of important visitor, least of all a photographer. I have to say it does not happen often. Anyway, no such problems this time, just some juggling required and the winemakers involved were happy to oblige. Monday started annoyingly at St Pancras Eurostar terminal where, unusually my suitcase required a search involving a complete emptying. No offending item was found but as I was repacking my case a middle-aged oriental couple had two bottles of wine confiscated. It seems on that particular day no alcohol was being allowed through, something to do with England playing a football match at the other end of France that evening. There had been no warning signs when I booked my ticket or at the station on the day. High-handed, knee-jerk and badly handled. Something that seems to be happening more and more. When I pointed out to the security man that there was no warning and this man’s wine could be worth ( but was n’t) hundreds of pounds there was attempt to see sense. We are all happy to endure security these days but it can be so inconsistent. You’ll see that in Burgundy, while I like to leave time for things to happen serendipitously, life without a moment to spare is good too ! Boris Champy on Corton saves one for the pot ! 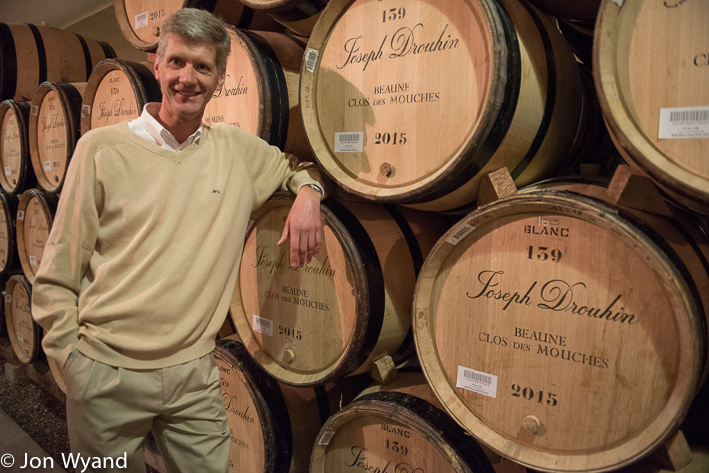 Philippe Drouhin has survived tasting Chablis Grand Cru at 7 in the morning. 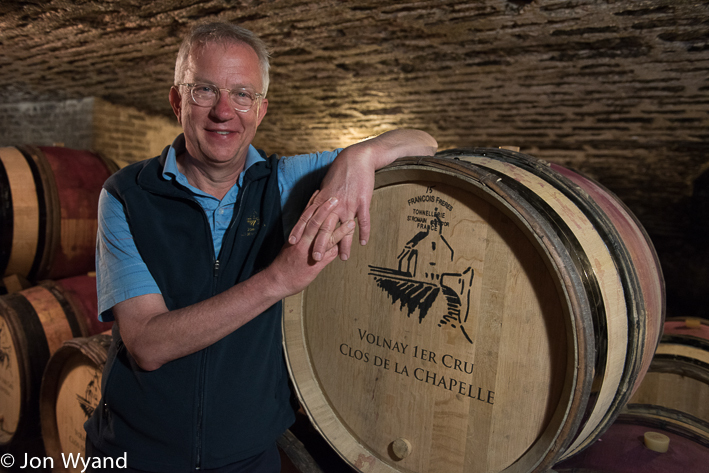 Sylvain Loichet at Chorey-les-Beaune. 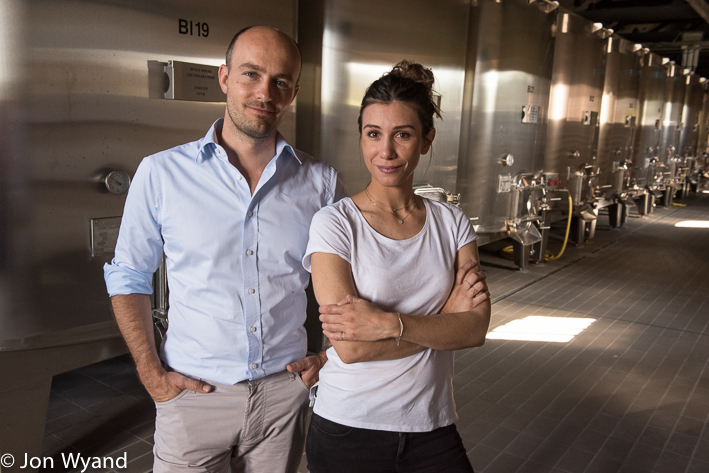 Winemakers just keep getting younger ! Affinage of Epoisses at Fromagerie Gaugry in Brochon. That’s washing the finished cheeses in Marc de Bourgogne. A great place, highly visible on the N974, well organised and welcoming, well worth a visit. 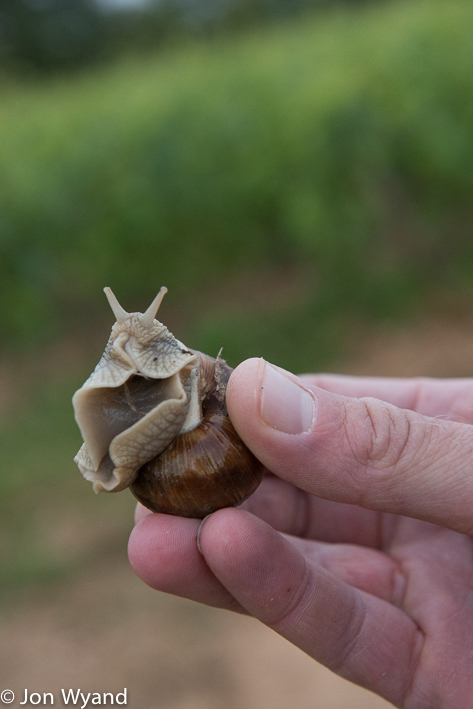 Its grown so much since it was tucked away at a mini-roundabout on the outskirts of the village twenty years ago. 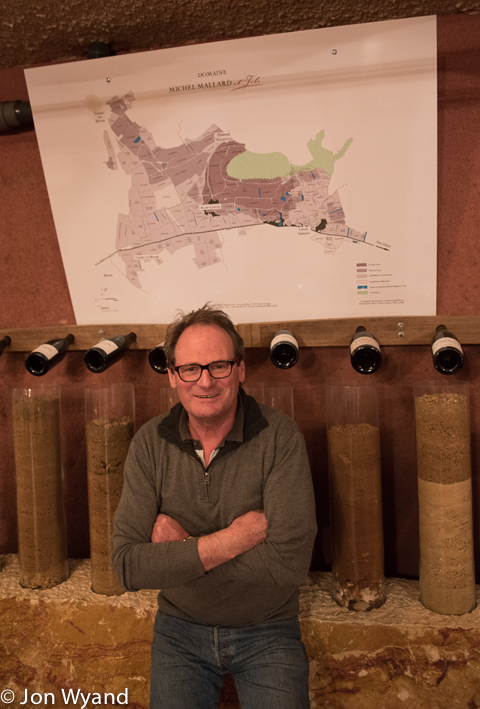 Michel Mallard in Ladoix, proud of his local terroirs around Corton. 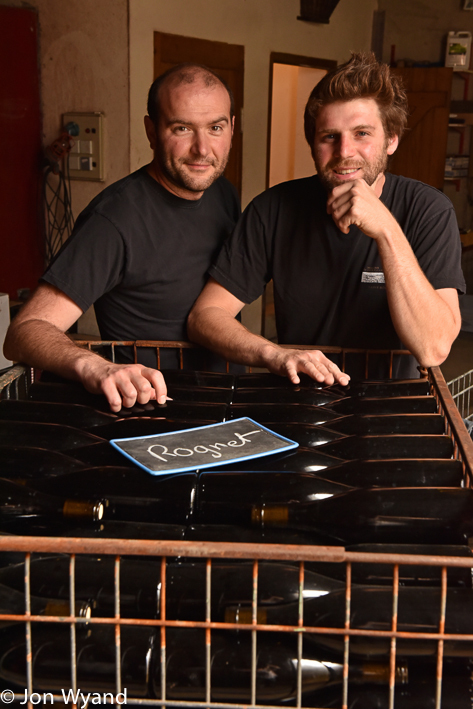 Brothers Franck and Fred, the next generation at Domaine Henri Buisson in St Romain, showing off their Corton Rognets! 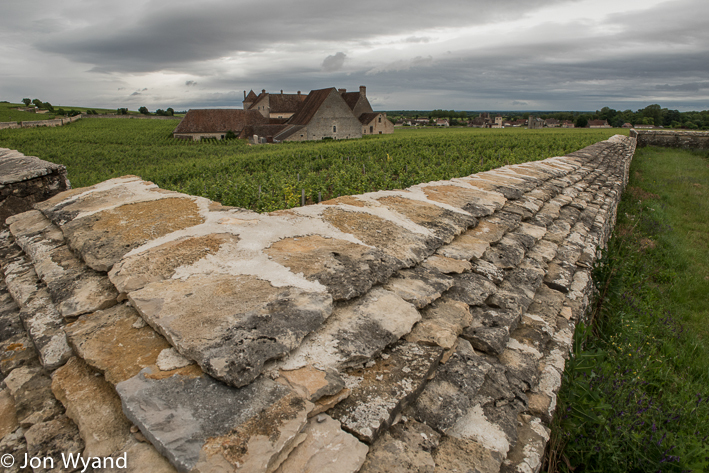 An evening meeting at Aloxe-Corton last night meant I must leave Beaune at 5.30 to be in Chablis comfortably by 7. 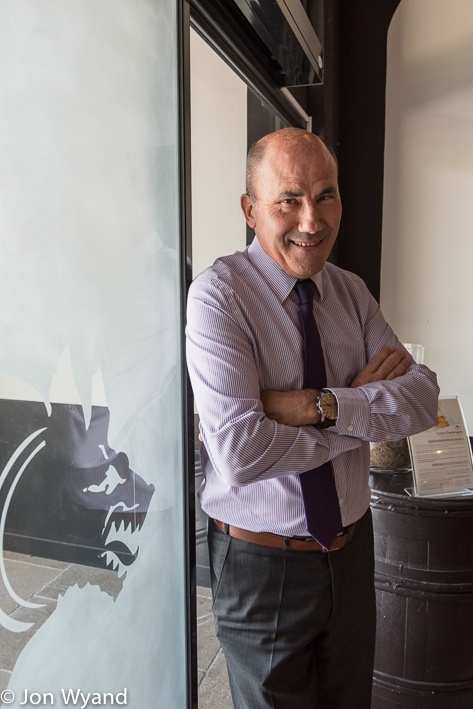 I visited Christian Moreau who wanted to talk Brexit. Oh dear, I didn’t. It was only his way of winding me up. Christian has seen the world and has a great sense of humour. I was waiting for a reference to the Euros 2016 and England’s efforts at football. He had a point, we were shamed by the progress of numerically smaller nations like Wales and Iceland who have bigger hearts. Christian and his son Fabien were in good form and made a good team for the camera. 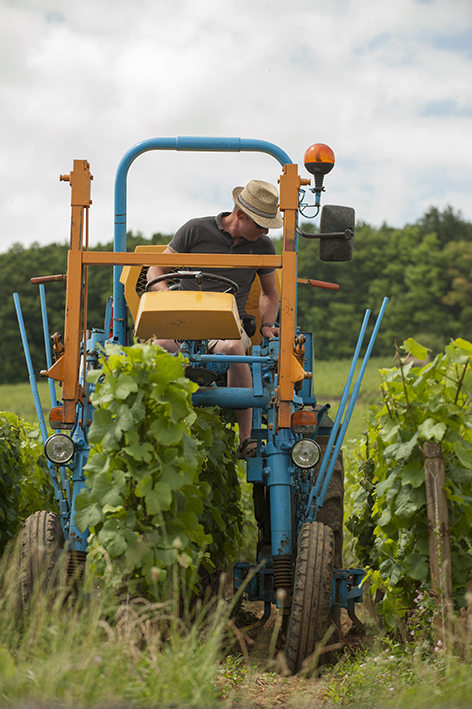 I was done and off to enjoy the late arrival of the sun in the vineyards by midday. Christian Moreau loves his roses but took his chance to bring up football ! 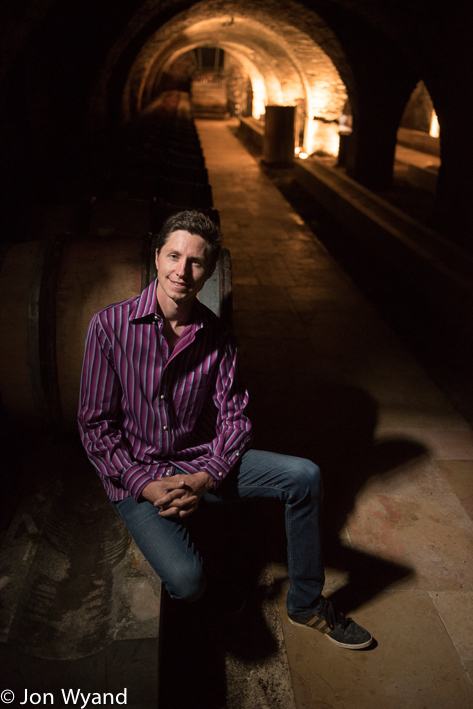 Frédéric Weber, the winemaker, in his cellars at Bouchard. 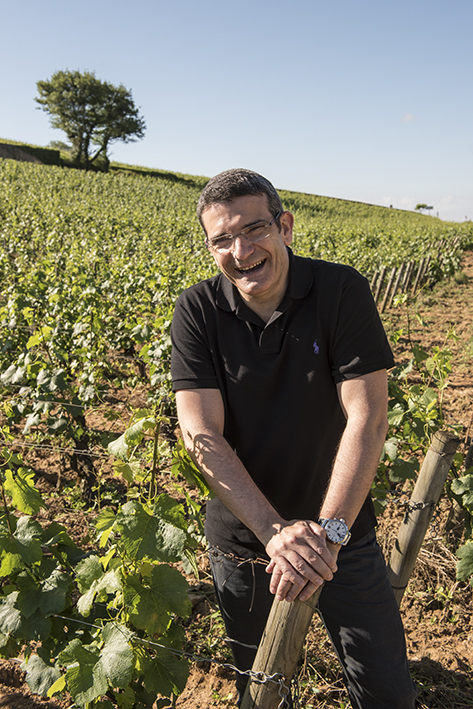 Christian Albouy, the new boss at Bouchard shares a joke ! 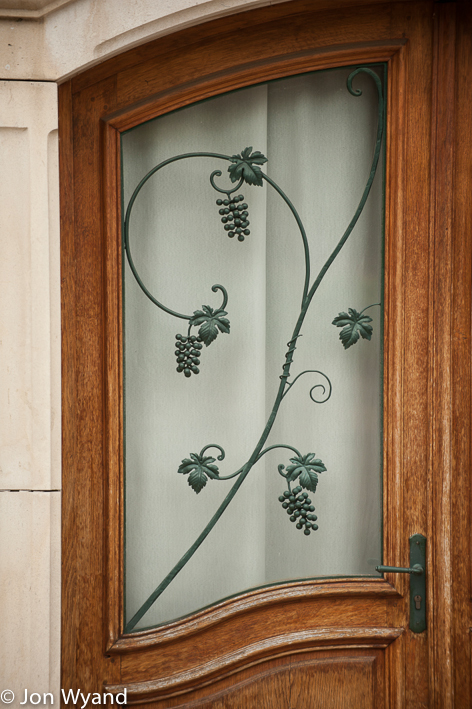 More wrought iron grapes, this time at Morey. 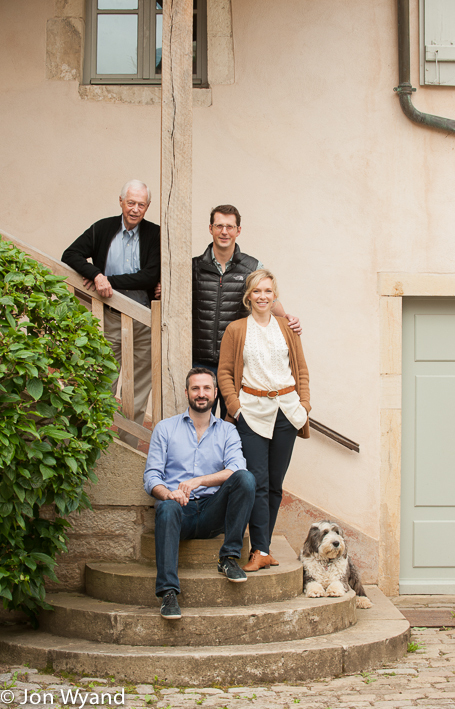 Jacques,Jeremy and wife Diana with Alex and the dog. But lunch with someone I see rarely and admire greatly is never cancelled. 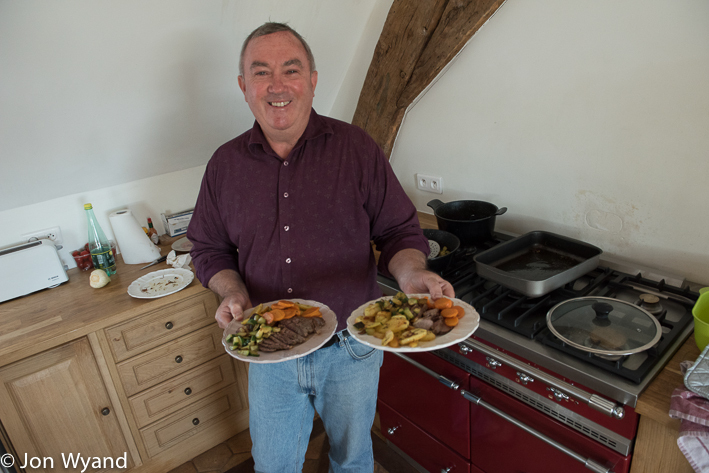 1 hour 50 minutes to swop stories with Greg Love, enjoy his cooking an see what makes him tick ! 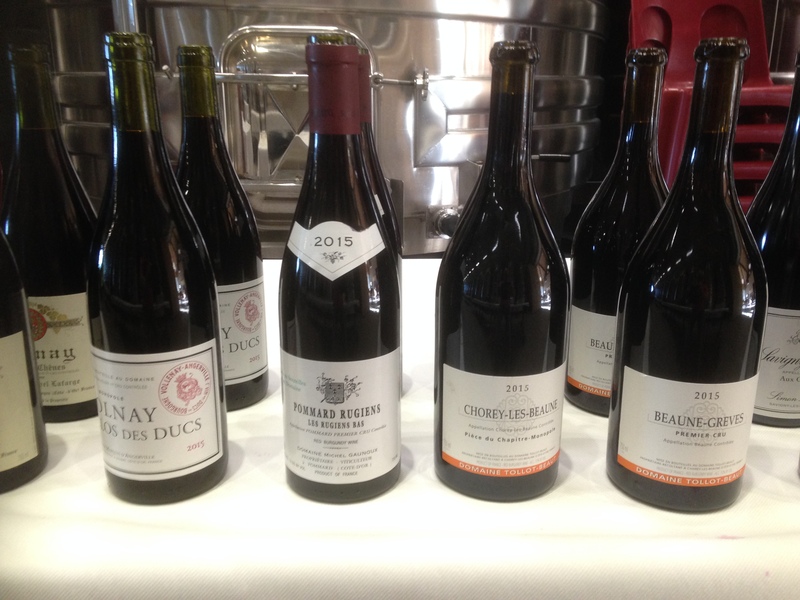 Hardly were we sat down at the table but Greg produced the bill for this lunch – would I kindly do a podcast interview on my Corton book..! With ego almost under control I manage half my delicious duck lunch. Did Greg realise I could talk so much, probably not ! 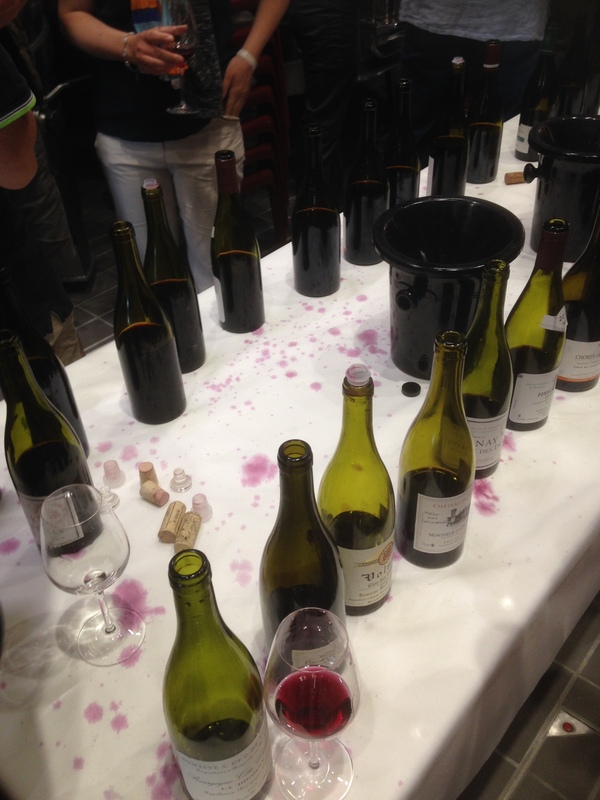 Perhaps most of it will end up on the cutting room floor, ( as did my interview with Jonathan Nossiter for Mondovino all those years ago – too much passion! ). Anyway I have an even greater respect for Greg and his way of thinking and seeing. And cooking. A quick bottle shot at Comte de Vogue for the Liquor Control Board of Ontario. Good to see François Millet again, very helpful as ever. 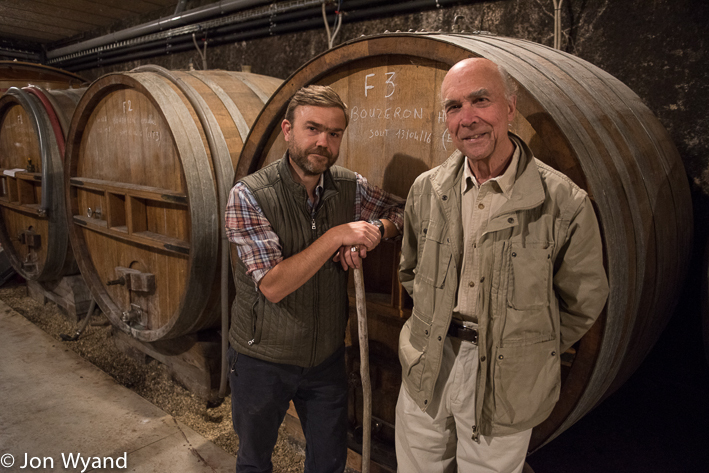 One the highlights of this trip was visiting the new Framboisiere winery of Faiveley in Mercurey. 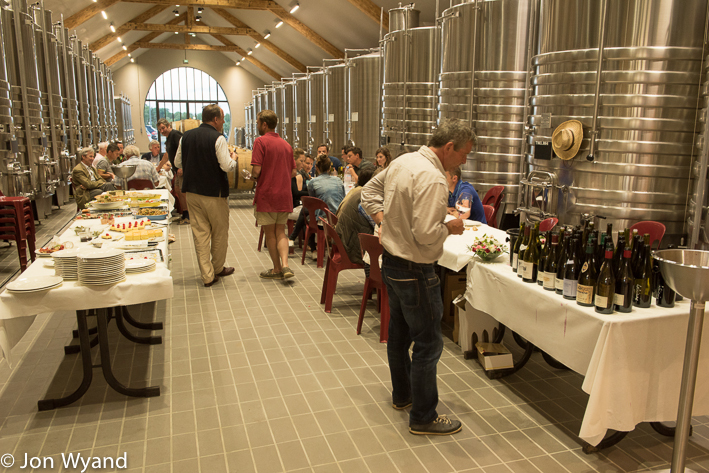 I needed portraits of Erwan and had been invited to join an evening of tasting followed by a buffet in the winery. 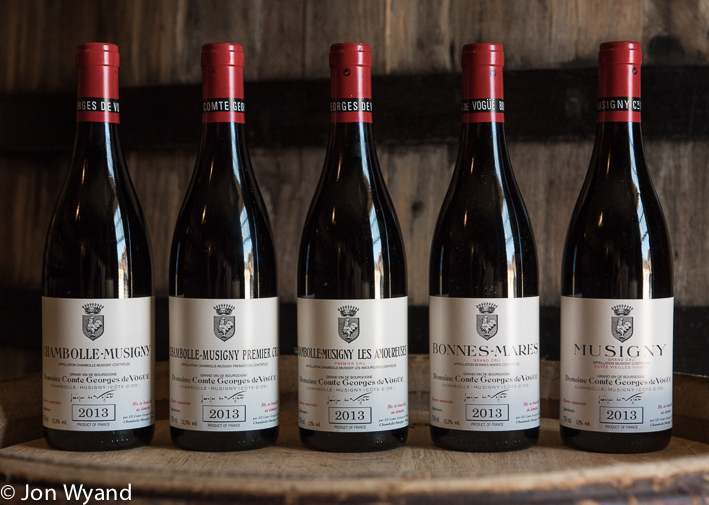 Apparently its an annual event that a group of nearly thirty growers gather together to share a bottle of the previous years vintage. Well I tried. but young reds are a job for the professional or someone with far greater tasting ability and experience than I. 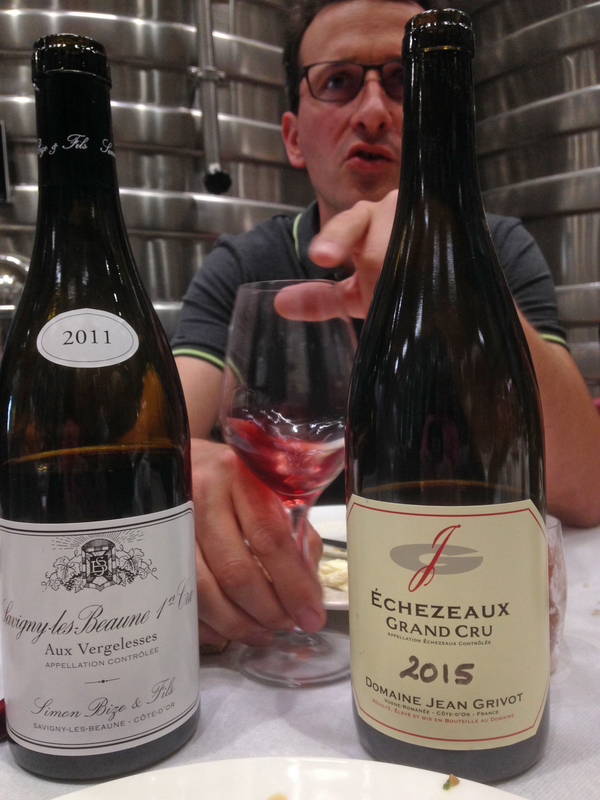 Whites were “easier” but I was still way out of my depth and could not pretend otherwise in front of the likes of Lafon, d’Angerville, Gouges, Rousseau, Tollot-Beaut, Bonneau du Martray, Raveneau, Lafarge, the incredible list went on. Enjoy the photo and see who you can spot. 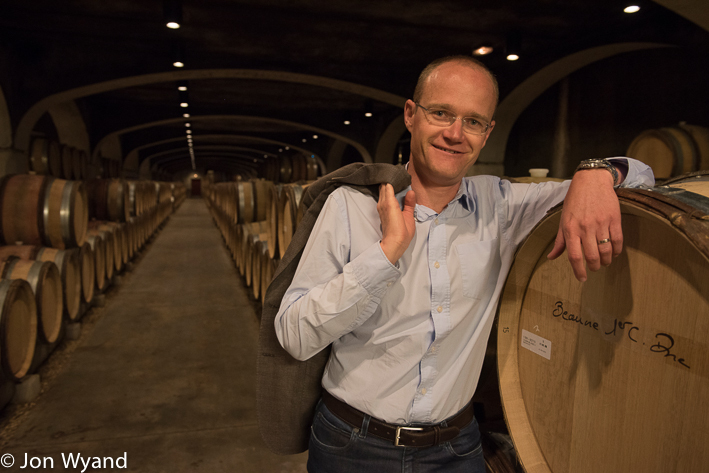 Erwan Faiveley’s bottle party at the new La Framboisiere winery in Mercurey. Etienne Grivot and daughter Mathilde get in line. It was reassuring to be remembered by those I had met but not seen in quite a long time. A big thank you to Erwan for allowing me to share an event. i tried to keep the snaps down, hence so many iPhone pictures. 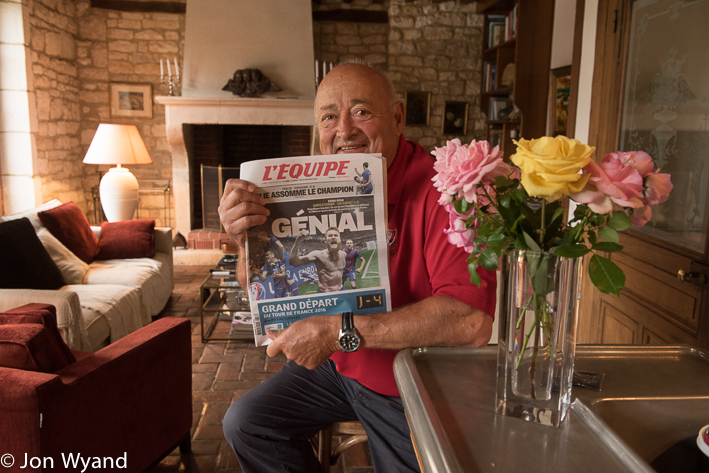 It was, after all, a relaxed evening among friends, not a photo opportunity but ERwan was happy for me to share it. 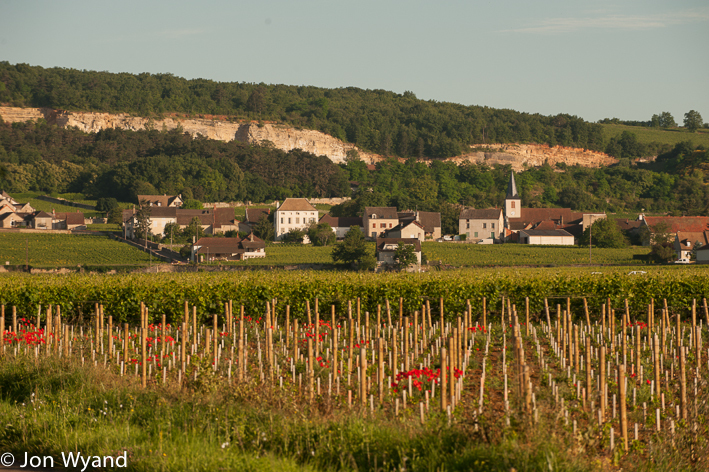 A beautiful morning as I headed south to see Philippe Colin in Chassagne-Montrachet. 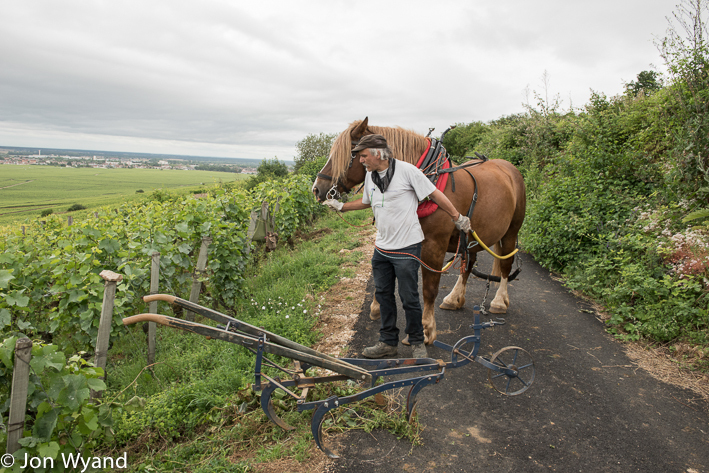 Yet another horse ploughing, this time for Domaine Leflaive in Bâtard Montrachet. 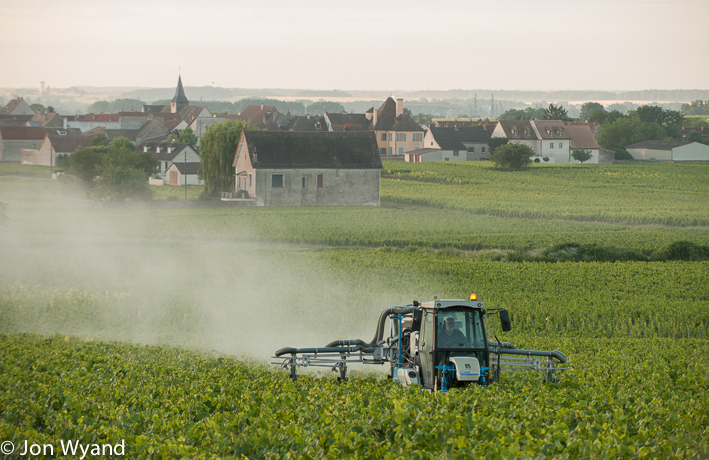 Less bucolic and more a sign of the times, spraying against mildew in Clavaillon. 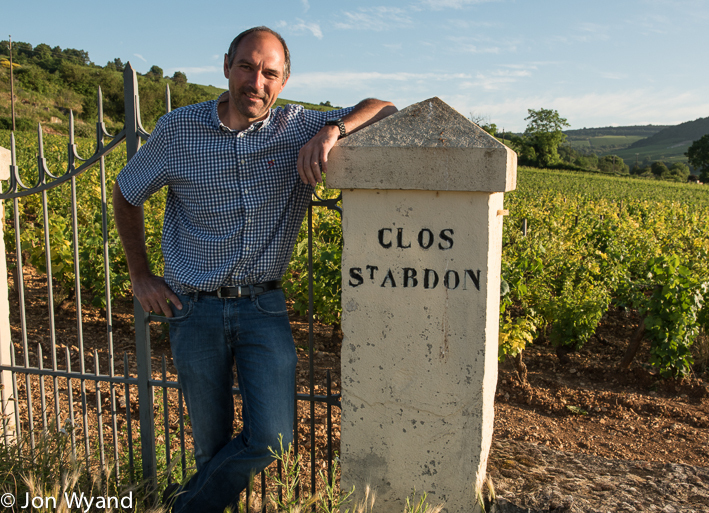 Philippe Colin at Clos St Abdon, part of Les Chaumées in Chassagne. That’s Dimitri Bazas, always smiling ! Then its a 12.00 session at Vincent Girardin with manager Eric Germain before dropping in on Tom Kevill-Davies at his Hungry-Cyclist Lodge in Auxey-Duresses. Enjoyed a quick cassecroute and left him to prepare for the arrival of 9 Belgians. 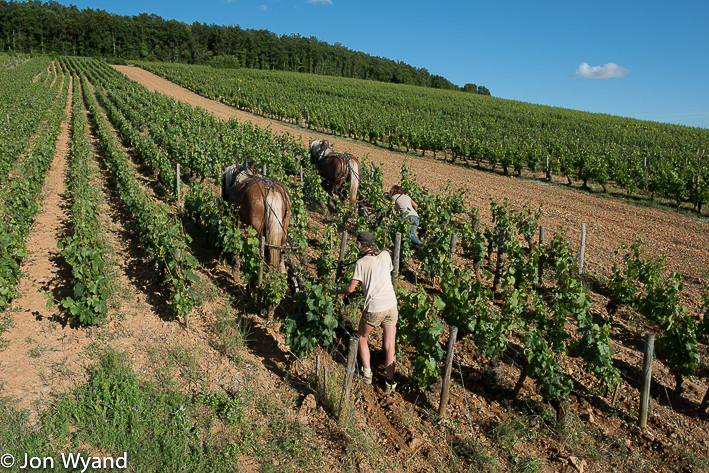 Through the vineyards back to Meursault. 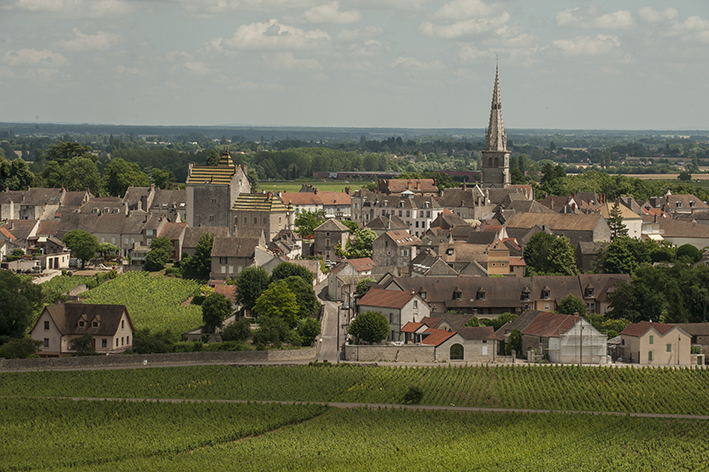 Back to Girardin to celebrate a young workers graduation from Beaune wine school. 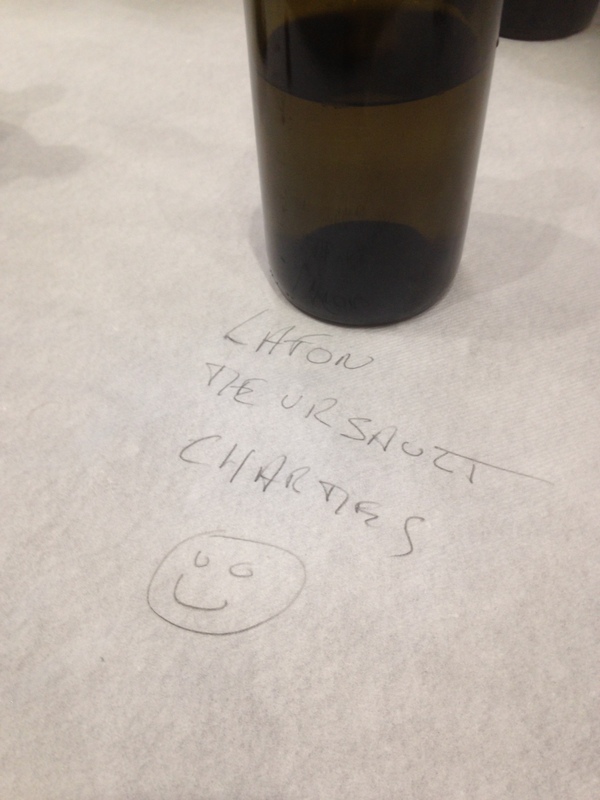 A Champenoise so…. A lie in until 7 ! Pack and then breakfast with my hosts Thierry and Christine Gaudillère. 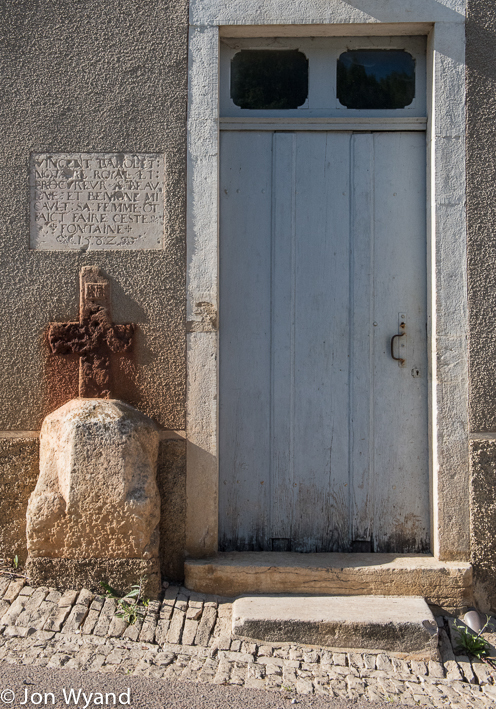 Only to be surprised as I turned the corner below Clos du Roi. Having paid homage to the hill I descended to Ladoix to buy some more honey from my friend Serge the bee-keeper. Not a happy man for once, I haven’t seen him for months and his bees have had a bad spring. Neither of us had time to share the a beer, the usual response in such situations. He has his trailer ready for the rubbish tip and I hoped for a gentle wander through the Côte de Nuits to Dijon satin. So the N974 through Nuits resisting the Saturday morning bric-a-brac market and on up through Vosne-Romanée. I stop at the Romanée-Conti corner to look around. I can hear a familiar sound coming down from above La Tâche, the throaty roar of Bernard Gros’ big red antique jeep. 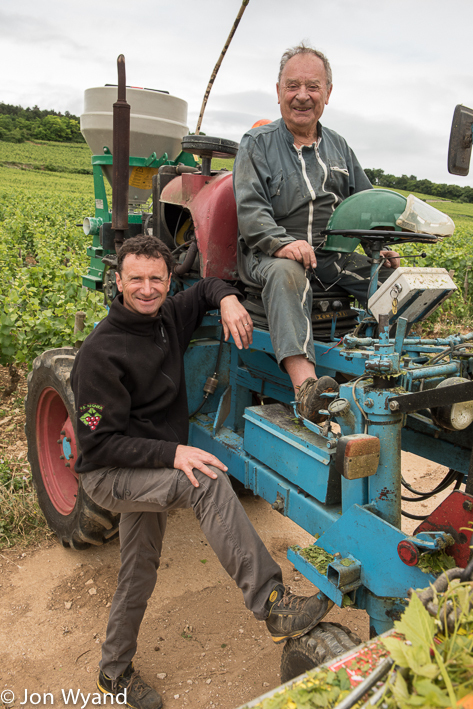 I had a great time photographing his domaine with son Vincent during last harvest for Vigneron magazine. I even got a ride in his shared helicopter and the big red beast of a jeep! 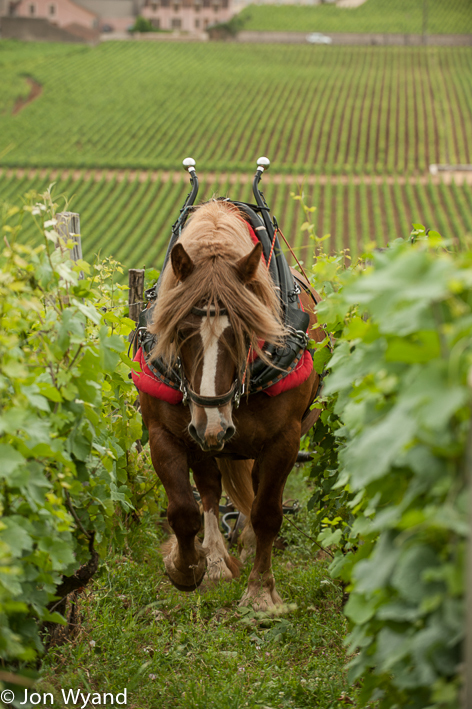 He sees me and breaks hard to say bonjour, off on his rounds of his vineyards. 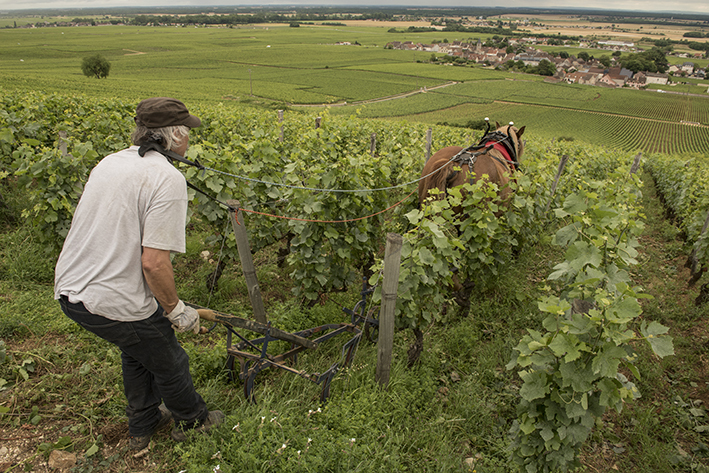 Sadly he was gone before I could gather the camera for a shot of the jeep… However he mentioned someone was horse ploughing in Aux Champs Perdrix, the village site next to the premier cru Reignots. Sure enough there was the horse box standing in the shade and a few yards further on was the sight of a horse fairly charging up the steep slope. 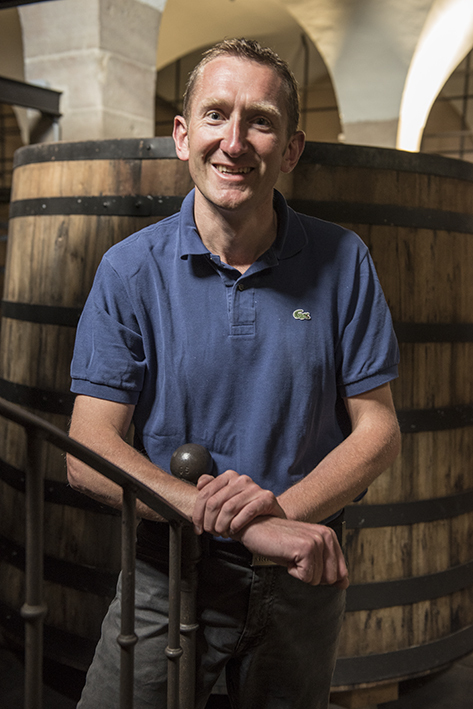 A Breton from Champagne working in Burgundy – small world. Jean-Noel turning his Breton. It was happier coming up than going down ! Aux Champs Perdrix and a view over Vosne-Romanée. 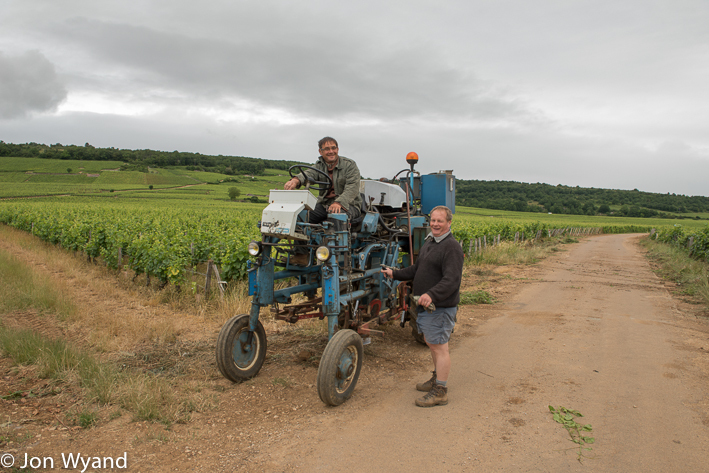 After Vosne and Vougeot I bypassed Chambolle as I wanted to get something in Morey-St-Denis: Clos St Denis and Clos de la Roche which is where I find Laurent and father Hubert Lignier on the tractors trying to get their weeding and leaf trimming finished by lunchtime.Still they looked happy to take a few minutes for a picture together. 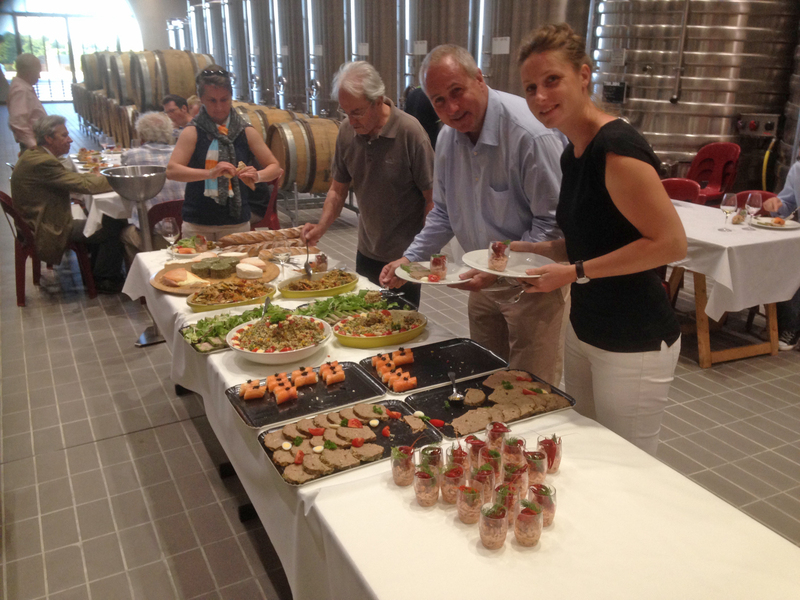 Finally, the day after I left was the Balade Gourmande, the biennial walk for visitors through the vineyards of Ladoix with five courses and wines to sustain them at intervals. 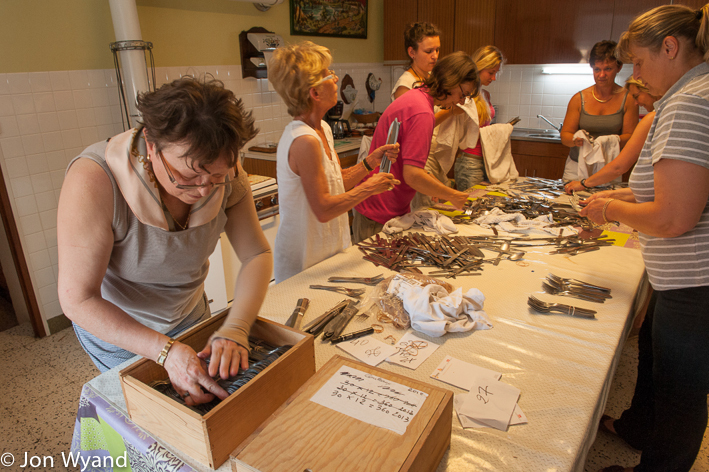 In homage to the efforts of the winemakers of Ladoix and their families, I leave you with an image from 2013 of the ladies of Ladoix washing 3000 sets of cutlery ! After the Balade Gourmande, who washes up..? This entry was posted on July 20, 2016 by jonwyand. It was filed under Uncategorized .